This Oak Creek paradise offers a one of a kind waterfront home in a quiet gated community. Spectacular views of the creek from the kitchen, dinning room, living room and master bedroom. Kitchen boasts beautiful cabinetry with quartz counter tops and breakfast bar. 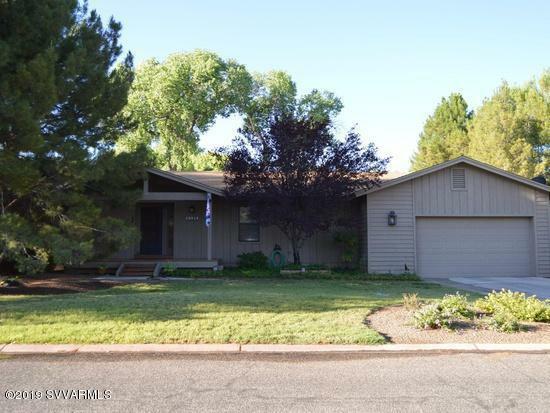 Meticulously maintained by original owner this 4 bedroom 2 bath home is move in ready. Includes cozy fireplace for those chilly evenings and a large deck for lounging on sunny days. Great fishing of large mouthed bass and rainbow trout. HOA includes pool, clubhouse, tennis, park and walking trails along the creek. Ok for short term rentals.